Franchising is one of the safest and most risk-free ways to start up and run a successful business, as the business franchising model is successful and proven. Geldenhuys gives a few insights from the Scooters Pizza perspective. A franchise presents entrepreneurs with the best of both worlds; the satisfaction of ownership that enables you to utilise your own entrepreneurial and business skills united with a strong brand name, as well as management resources and the experience of a large and successful franchisor. The financial dangers are considerably less and the forecast for success is greater than for a self-start business. By entering into a franchise agreement, business owners are assured that they will benefit from the experience and resources of the franchisor as well as other franchisees who are able to guide and assist in times of need. Scooters Pizza is a sure recipe for success. 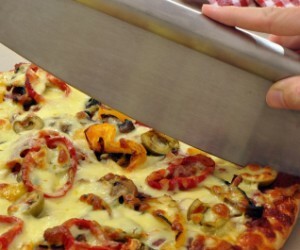 Since its establishment in September 2000, Scooters Pizza has grown to become the fastest growing pizza franchise in South Africa, boasting 128 stores nationwide. The company’s great history of growth and success is attributed to its exceptional franchising formula and model. From the word go, entrepreneurs are assisted in all legal, financial, marketing and operational matters. Firstly, we help potential business owners to compile a business plan before all financial matters are discussed with the Scooters Pizza support office to finalise breakeven and cash flow projections for each store. Further, during this meeting various financing options from financial institutions are discussed to ascertain the best possible deal and again to reiterate the investment required. Once all commercial matters and business aspects have been addressed, every franchisee joins the training academy which provides ongoing support for existing staff as well as training for new staff entering the system. Courses are run on a continuous basis for ease of planning. Further, skilled evaluators visit stores on a regular basis and conduct onsite training and coaching as and when required. 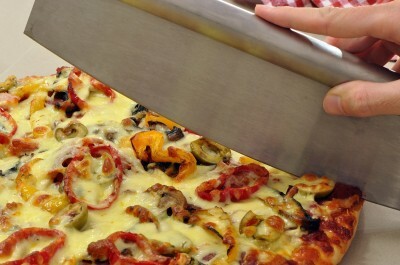 We believe that it is crucial for our franchisees to understand that they have the complete backing and ongoing operational support of Scooters Pizza, and our successful holdings company, Taste Holdings, which offers 12 years’ experience in helping entrepreneurs set up flourishing businesses. It is however, important to stress that even though we provide all-encompassing training, operational guidance and mentorship, a successful business model and nationwide marketing programmes, it is still the entrepreneur’s responsibility to ensure the success of the business. Business success can only be achieved through hard work, time management, a commitment to the franchisor’s model and finally, a desire to succeed.